You are here: Home / Night Flicks and OGO Rotorua are proud to present …. Night Flicks and OGO Rotorua are proud to present …. Night Flicks and OGO Rotorua bring to you an evening of hilarious OGO fun and Outdoor Movie magic under the stars. 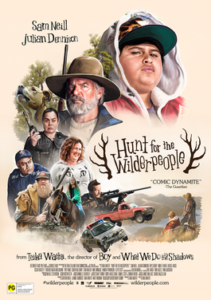 Experience twilight OGO rides through till dark then settle for the hilarious NZ comedy classic “Hunt for the Wilderpeople” once the sun goes down. Round up your friends, your family, your workmates – Pack a picnic dinner, a comfy seat and settle in for a unique outdoor movie experience. Night Flicks and/or OGO Rotorua reserve the right to postpone or cancel the event in the event of undesirable or dangerous weather. In the event of a postponement or cancellation, ticket holders are entitled to a full refund of tickets. Your OGO ride ticket is valid on a person basis – i.e. one ticket is required for each person riding. Voucher must be redeemed between 5.00pm and 8.00pm on Friday 11 January 2018. Minimum age to ride is 5 years of age and maximum weight is 125kgs ( full H&S information see here http://www.ogo.co.nz/about-us/health-safety/) This offer is not available in conjunction with any other offer or discount and subject to availability.